With over thirty years of experience helping home buyers and sellers, this Anne Arundel County specialist is here to guide you on your next home purchase or sale. When clients hire Frank Taglienti, they get Frank Taglienti. This licensed REALTOR® of thirty years prides himself on personally meeting the needs of each client and guides them from the start of the process all the way to settlement. Clients who have worked with Frank appreciate his savvy negotiating skills, strategic marketing approach, personalized service, and a work ethic that’s second to none. Frank's 2018 numbers were impressive, as he as ranked as one of the top agents out of approximately 1,500+ Berkshire Hathaway PenFed Realty agents in the mid Atlantic region! He has been the #1 AGENT in the Severna Park office for decades. He has amassed an impressive list of REPEAT AND REFERRAL CLIENTS, with some relationships spanning three generations. Buyers love Frank’s EXPERTISE ON EVERY FACET OF THE TRANSACTION and his solid negotiating skills on their behalf. Sellers appreciate his AGGRESSIVE MARKETING APPROACH that combines his extensiv e knowledge of the market and a strategic viewpoint. And all of Frank’s clients love the PERSONAL SERVICE he provides them. When clients hire Frank Taglienti, they get Frank Taglienti. This licensed REALTOR® of thirty years prides himself on personally meeting the needs of each client and guides them from the start of the process all the way to settlement. Clients who have worked with Frank appreciate his savvy negotiating skills, strategic marketing approach, personalized service, and a work ethic that's second to none. 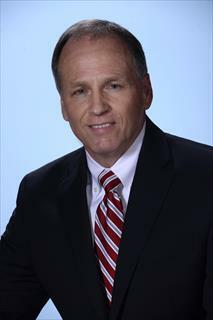 He has been the #1 AGENT in the Severna Park office since 1994. Buyers love Frank's EXPERTISE ON EVERY FACET OF THE TRANSACTION and his solid negotiating skills on their behalf. Sellers appreciate his AGGRESSIVE MARKETING APPROACH that combines his extensive knowledge of the market and a strategic viewpoint.